Blast Monkeys is a free game in which you shoot a monkey out of a cannon toward a bunch of bananas. But it’s so much more than that. While the premise sounds simple, the game’s genre is hard to pin down. Blast Monkeys developer Yobonja bills it as a physics/puzzle game, and it definitely fits the bill. However, depending on which level you’re playing, Blast Monkeys can also be a maze game, a pachinko machine, or a game of H.O.R.S.E. where the basketball just happens to be a monkey shot out of a cannon. It all adds up to one of the more deceptively complex games I’ve played. You have infinite lives. 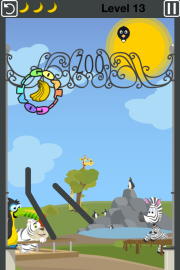 Each level starts with your monkey loaded into a cannon at the bottom of the screen. Your mission is to tap the cannon to launch the monkey upward, collect three bananas per level, and land in the Goal at the top of each stage. But there are a bunch of things that can either help you out or get in your way: bubbles, platforms, blowfish, icicles, moon-landers, starched pantaloons, and all manner of what-have-you. In space, no one can hear you eat delicious bananas. Long story short, procuring maximum bananas isn’t always easy. You can “pass” each level by betraying your monkey instincts, ignoring the bananas altogether, and simply blasting your monkey into the Goal area—but that doesn’t make for much of a challenge. Besides, you can only unlock additional worlds in the game if you collect all the bananas in each world. So just get all the bananas. This is a game that might have you hooked quickly, so it’s nice that there are so many levels to choose from. Nine worlds with 25 levels each, plus five bonus “Expert Levels” per world means a total of 270 levels. That’s plenty to keep you entertained on a month’s worth of bus or subway rides, all for the cost of zero cents per level. Here’s why I think this game is a classic. Simple and difficult: Like many of the best games, Blast Monkeys is easy to learn but hard to master. You won’t have much trouble getting started, because the rules are straightforward and the first levels are ridiculously easy. But as the game goes on, things get extremely tricky—especially when you get to the “Expert Levels” at the end of each world. The monkey is sometimes a bird. The bird still enjoys bananas. Variety: Yobonja’s game designers have done a great job at making each stage of the game feel different and fresh. 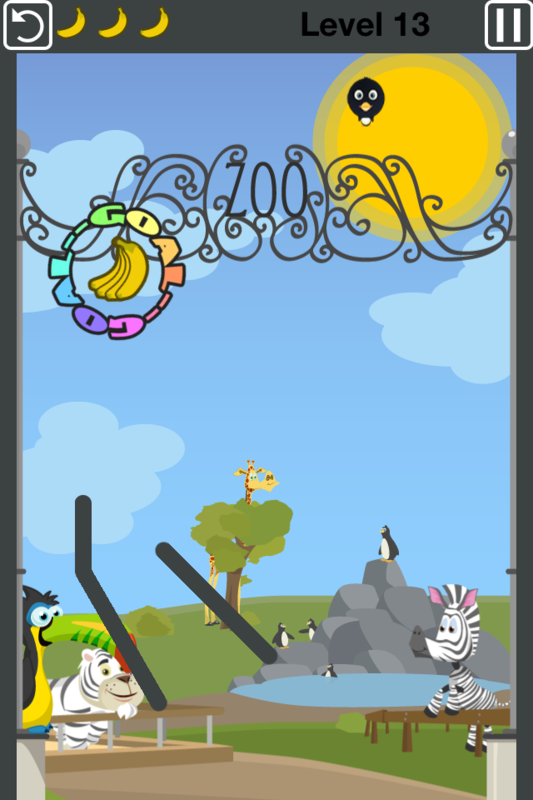 The obstacles, settings, and even the monkeys change from world to world. 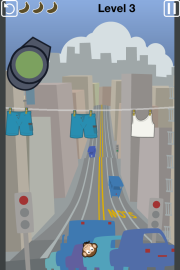 For example, in the City world, annoying pigeons and heavily starched shirts on clotheslines keep getting in your way. In the Zoo world, your monkey sometimes appears as a koala, a lion, or a bird. In the Space world, you need to guide your spacesuit-clad monkey through a network of teleportation devices and moon landers. Each world really is a different world. Over-starched tanktops and jean-shorts are surprisingly difficult obstacles in this game. Go your own way: There’s no “one path to victory” for most levels. You can use different bank-shots off of obstacles, different paths through the levels, and different timing strategies to collect all the bananas and reach your goal. A lucky bounce here or there really makes a difference. It’s like life, man. Expandability: In case 270 levels isn’t enough for you, the game grows over time. Additional levels are released as free updates every few months. The last update was released in February, and I’m anxiously awaiting the next mini-expansion pack. 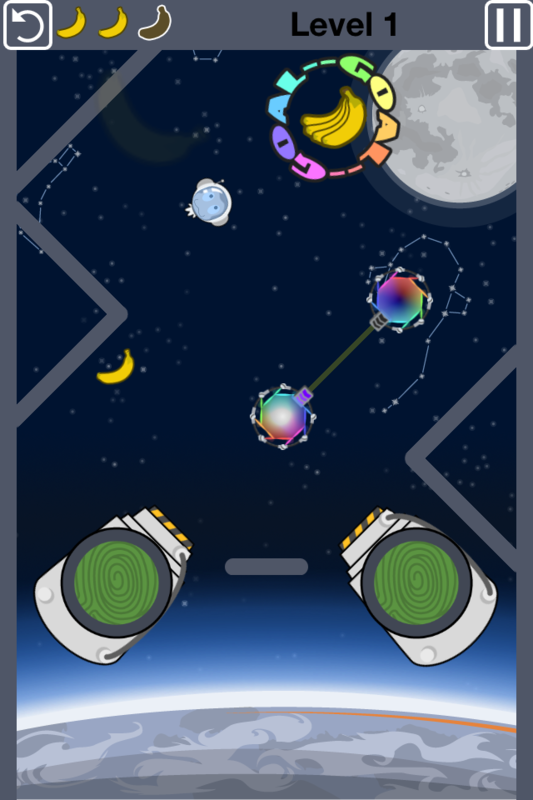 This story, "You Should Play: Blast Monkeys" was originally published by TechHive.